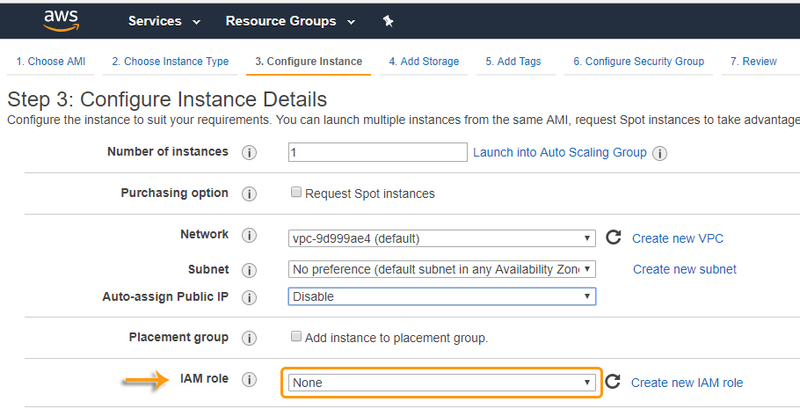 How to Create an Amazon EC2 Instance???? 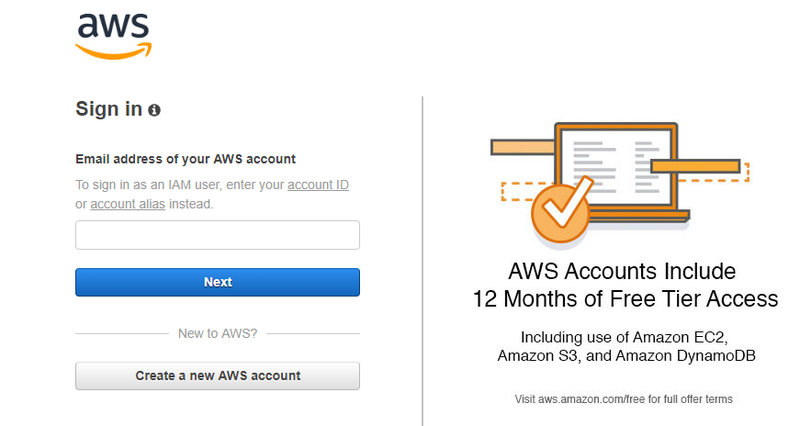 Login to your AWS Management Console. 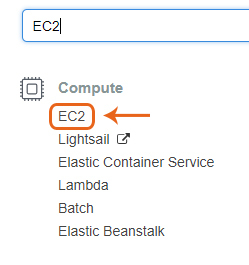 Step:2 Go to AWS Services tab at the top Search bar and type in EC2. 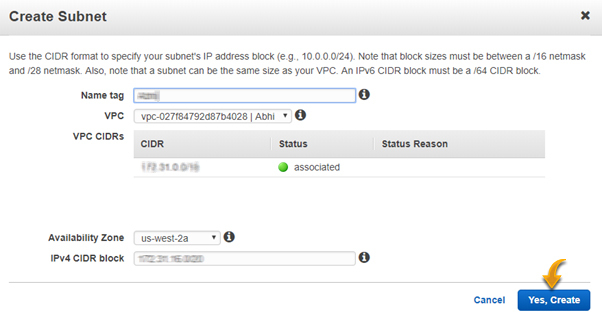 On the top right corner choose the AWS Region in which you want to provision the EC2 server. Here, I’m selecting Oregon. AWS provisions 15 regions all over the globe. Given below is the EC2 dashboard. 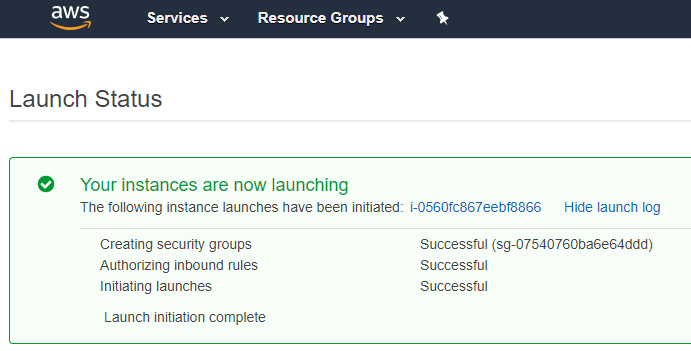 Click on ‘Launch Instance’ button in the section of Create Instance. 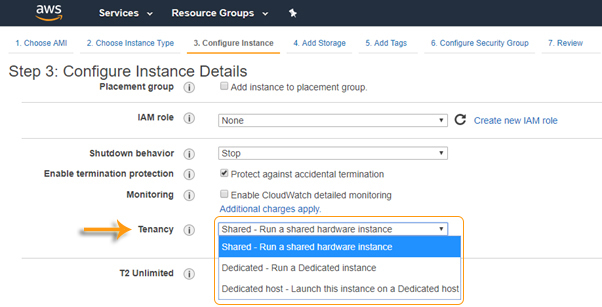 Here we have 7 steps to create an EC2 Instance. An AMI is a template that includes the configuration of the application server, operating system, and applications which are required to launch the instance. Here you have to choose the type of instance you require based on your business needs. Click on Next: Configure Instance Details. In this Step you can configure the instance to suit your requirements. We have to start various cases from the AMI, request better instances to get an advantage of the lower price, and then provide an access role to the situation. Now we are launching one instance. Under purchasing option please unchecked the box Request spot instances. Now, we have to configure basic networking details for the EC2 server. Here we need to decide, in which VPC to launch instance and under which subnets inside the VPC. Network section will give a list of VPCs available in our platform. We can also select existing VPC. 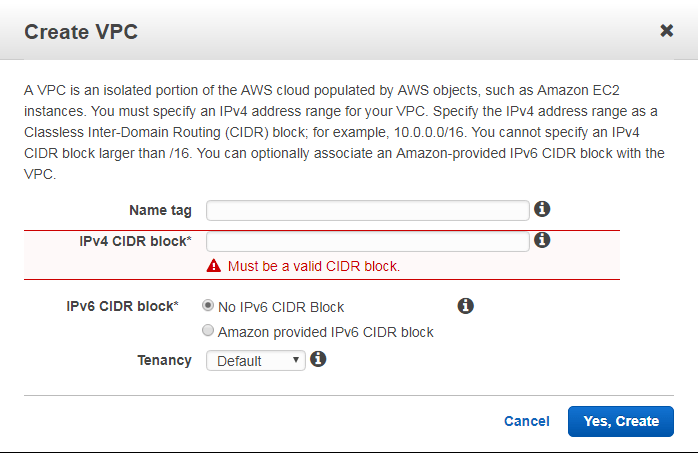 Now you will see how to create a new VPC. Here it proves a pair of IP addresses in the field of IPv4 Class less Inter Domain Routing and then check IPv6 CIDR block. Default Tenancy: This is for running an instance on shared hardware and it is free of charge. Dedicated Tenancy: This is for running our instances on single hardware. 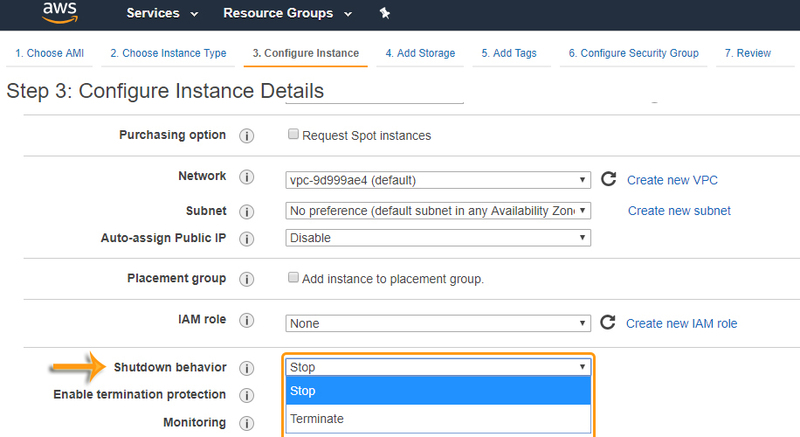 Specify the following VPC details and then click “Yes, Create”. Here, we have particular blocks like Ipv6 CIDR block and Ipv4 CIDR block. If we don’t specify Mandatory blocks, it will show error. Here, I have selected a newly created VPC. Basically, VPC consists of subnets, which have IP ranges are separated for restricting the access. Under Subnets, you can choose the subnet where you want to place your instance. You can also create a new subnet in this step. Also, you can choose an already existing public subnet. 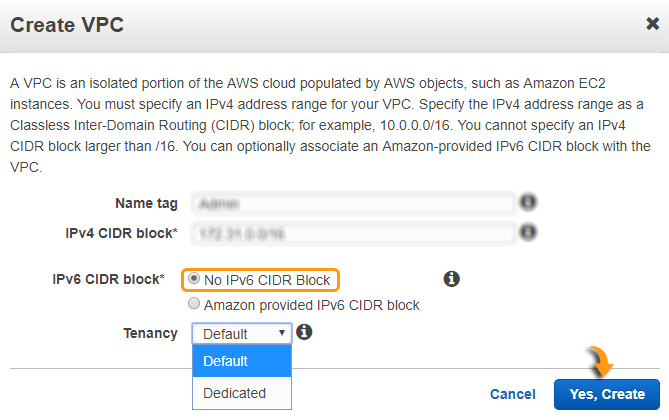 Now we can choose AWS to assign an IP automatically, or we have to do it manually later. We can similarly enable or disable direct assign Public IP’..
Now keep the option of IAM role as None. Shutdown Behaviour – when accidently shut down the instance, but doesn’t want it to be deleted but stopped. Here, I’m defining my shutdown behaviour as Stop. 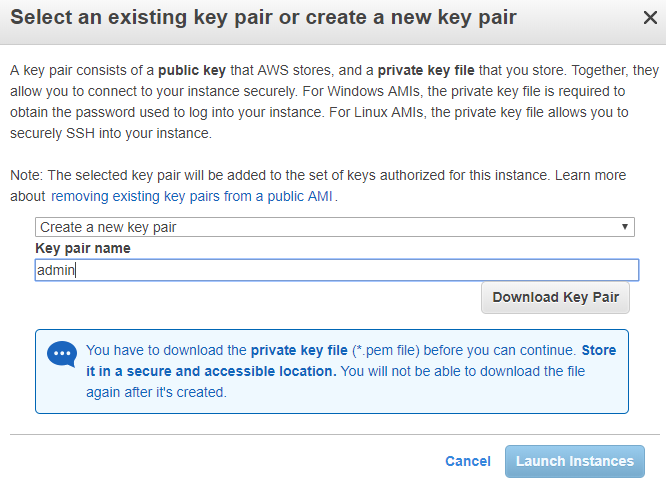 In case, we have terminated the instance, then AWS has a layer of mechanism. It will not be deleted the instance then, have to enable the termination protection. 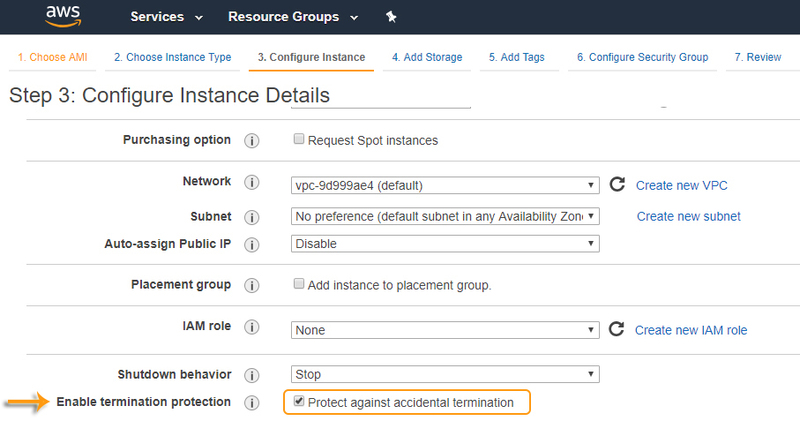 We have to check the option for protecting the instance from accidental termination, in the image shown below. Under Monitoring- we can enable Monitoring if our instance is a business-critical. 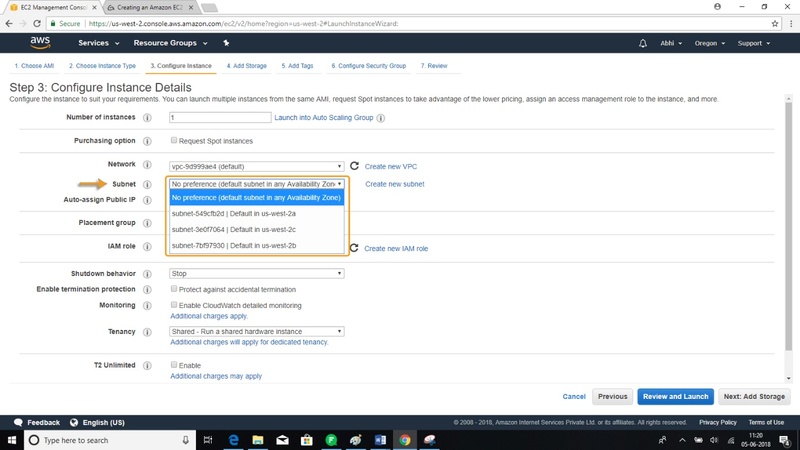 By default, AWS will always provide basic monitoring on your instance free of cost. Under Tenancy- select the option (if shared tenancy). If applications are highly secured, then we have to choose particular capacity. As AWS provides various options. Click on ‘Add Storage’ to add data volumes to your instance in next step. The instance will be launched from the following device storage settings. From there we can add additional EBS volumes and store to the instance or edit the settings of the root. We can also attach more EBS volumes after launching the instance, but not instance will store the volumes. A tag will have case-sensitive-value pair. 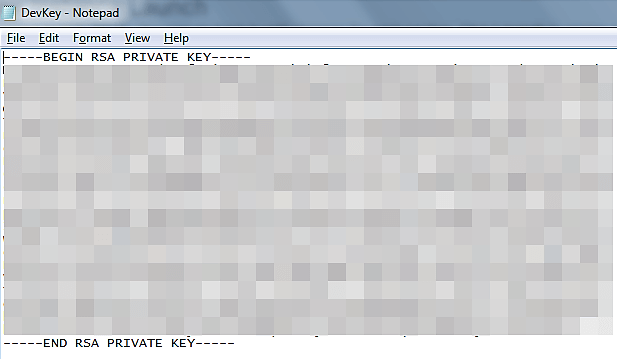 A copy of a tag can be applied to volumes, instances or both. If we would like to set up a server and to enable Internet traffic, and add rules that allow unlimited access to the HTTPS and HTTP ports. We can create a new security group..
Now, we are going to create a New Security Group. Review the instance details. We can move back to edit for each section. Click on Launch to give a pair to the instance and complete the process. Click on Download key pair. Once you are done downloading and saving your key. Now you can launch your instance. Now, your instance is up and running, you can see its status as ‘’Running’’. Hola peeps! Meet an adventure maniac, seeking life in every moment, interacting and writing at Asha24.